Portland, OR – This Friday January 10th will be the release of Upright Brewing’s highly anticipated 3rd annual release of “Fantasia” at the brewery tasting room in North Portland. 750ml white wax dipped bottles will be on sale for $20 each with a 3 per person limit. Last year unprecedentedly sold out of Fantasia on the release day at the brewery which has resulted in a lower allotment per person this year. Beer Advocate gives Fantasia a 96 world-class ranking. Rate Beer assigns it an overall score of 100 and 98 for style. Depending on release day sales Fantasia cases may or may not make it out of the brewery for very limited distribution. 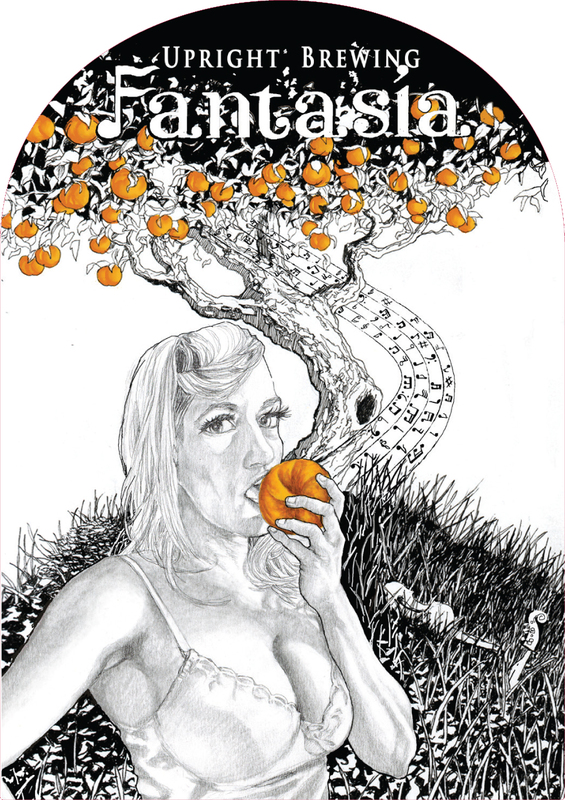 Fantasia is a nod to Belgian fruit lambic beers, incorporating lots of fresh peaches and barrel fermentation. This vintage is a blend of six oak barrels, each of which was packed with over 100 pounds of fruit and a mix of yeasts and bacteria for a year before being bottled and conditioned at the brewery for several months to further develop. Fantasia displays a complex peach laden nose, tasting both earthy and floral with a distinct herbal note reminiscent of tomato leaves. Slightly more tart and less bitter than 2013, this vintage tastes more like the original. Like all batches though, the beer is ripe for cellaring several years.